The fourth BRICS summit succeeded in consolidating the group's influence by seeking to enhance international cooperation and taking a unified stance on some of the world's most pressing concerns -- such as Iran, Syria, credit flows, global investment, and cross-border trade. This year's summit was a noticeable step forward: not only did the parties sign a dozen pacts -- opining on the ongoing global financial turmoil, the role of the IMF and the World Bank, and green topics -- but they also attempted to create a foundation for future collective action to address many of these issues. The BRICS' leaders sought to set a clear path forward, however implementation of their new agreements will prove to be another matter. The BRICS are unified based on a commonality of purpose -- in essence, to challenge the existing order, in which the post-war developed countries dominate the financial and foreign policy arenas. In that regard, the group looks more like the non-aligned movement than the 'path blazers' they portend to be. It is one thing to shake hands and smile for the camera -- it is quite another to put their words and deeds into action. Here, the BRICS will find it difficult to gain real traction as a group. For example, while China and Russia have used their Security Council veto with frequency, aspiring permanent Security Council members Brazil, India, and South Africa are still finding their footing on the global stage, and appear hesitant to blatantly oppose the collective will of the established five power permanent members of the Security Council. With respect to more achieving more influence in the multilateral development banks, China has already established a pre-eminent position, whereas the other BRICS countries merely aspire to achieve such influence in the decision making process of these institutions. And China stands alone in the group for making significant progress in establishing the yuan as a future global currency. It may not be said very often, but China has an interest in preserving its unique position among developing countries on the global stage, and in ensuring that the other BRICS do not achieve such distinction -- or at least, not any time soon. The common values, ideals and pragmatic policies that have bounded Western countries together in the past and have enabled them to form meaningful action-oriented transnational alliances simply do not exist among the BRICS countries. Whereas Western alliances have tended to benefit from the common cultural and historical background of the participants, the diversity among the BRICS members will undoubtedly hinder achievement of their 'shared vision of the world'. Brazil, India and South Africa seek cooperation with the West, while China and Russia are not as interested in becoming Western allies. In addition, China, India and Russia are competitors within the Eurasian theater, China and India compete for influence throughout Asia, and they all compete for the same customer base with regard to the sale of natural resources. Ultimately, this competitiveness is likelier to result in roadblocks to cooperation rather than a clear path forward. While the surface rationale of a unified BRICS alliance is clear enough, the final objective remains uncertain. Beijing, Brasilia, Moscow, New Delhi and Pretoria see economic growth as a means for having a greater voice in global politics and finance. But at the same time, it is clear that each country has its own agenda and objectives. It seems unlikely that any of the BRICS countries will dilute their own sovereignty for the 'greater good,' and in that regard, they are no better or no worse than the countries and alliances they criticize and seek to challenge. The proposed creation of BRICS-backed development bank can be seen as intending to replace current global institutions, rather than enhance their work. Its stated purpose would be to fund investment and development in emerging markets, increased use of national currencies in mutual trade, and simplify export credit facilities for exporting. Great! But how much of this is motivated by self-interest and how much by a genuine desire to reduce poverty and promote development? At a time when existing multilateral development banks are having a difficult time justifying their existence based on their original purpose (i.e. to fight poverty and promote development), given the significant growth of the middle class globally and the 'rise of the rest,' how can a new development bank be justified at this time? If the BRICS were to become as significant a policy-making group as NATO or ASEAN, what would their role be, and on what basis? What would it do differently or better than existing groups? Government officials often refer to the BRICS as an ethical base for future collective international action, but isn't it becoming more a forum to question the legitimacy of other organisations? The BRICS certainly deserve and have earned respect. The West must weigh its long-term interests with future collective interest, just as the BRICS should do. As the BRICS push for greater collective influence in the global arena, likewise the West should continue to push for greater democracy within the BRICS countries that are not yet democratic. As the BRICS seek common ground upon which they can build a future in their own image, the rest of the world should take care to try to ensure that whatever the outcome, it will be something positive and not a blatant attempt at a global power grab -- something for which the BRICS themselves accuse the West. The modern history of the world has shown that there will always be crises that require multilateral action. The question has become whether and when the BRICS will be willing to step up to the plate as a group and place idealism above self-interest -- an admittedly lofty ambition for any nation-state or group. The difference between the West and the BRICS is that the West has proven willing to sacrifice its own interest to participate in sometimes distasteful and necessary political decisions. When was the last time the BRICS countries as a group did that? Daniel Wagner is CEO of Country Risk Solutions, a cross-border risk consulting firm based in Connecticut (USA), Director of Global Strategy with the PRS Group, and author of the new book Managing Country Risk (www.managingcountryrisk.com). 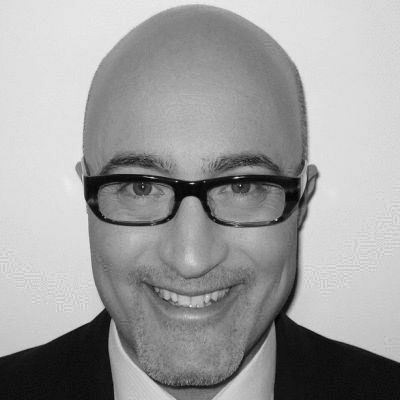 Alexis Giannoulis is a research analyst with CRS.